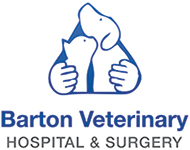 We are pleased to be able to offer a surgical referral service here at Barton Veterinary Hospital with visiting clinician Jean-Benoit Lefebvre DVM DipECVS MRCVS. Jean-Benoit will be happy to see your cases here at Barton, an RCVS accredited Veterinary Hospital where we can provide your pet the very best standard of care pre, per and post-operatively with excellent facilities and highly experienced team. For more information please complete the online referral form or call us on 01227 765522.